This is a really cheap recipe. It’s also really easy to make gluten-free, with gluten-free soy sauce. 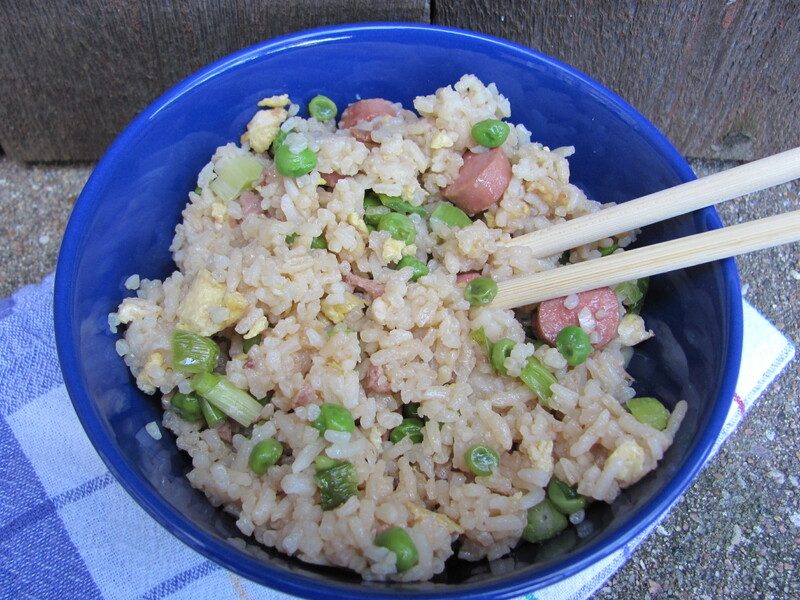 There is a trick to stir fried rice: it sticks if you make it in a wok or a saucier pan, like I did. This works much better in a non-stick pan. You’re, for the most part, just reheating, not cooking this recipe. This is a really forgiving recipe. 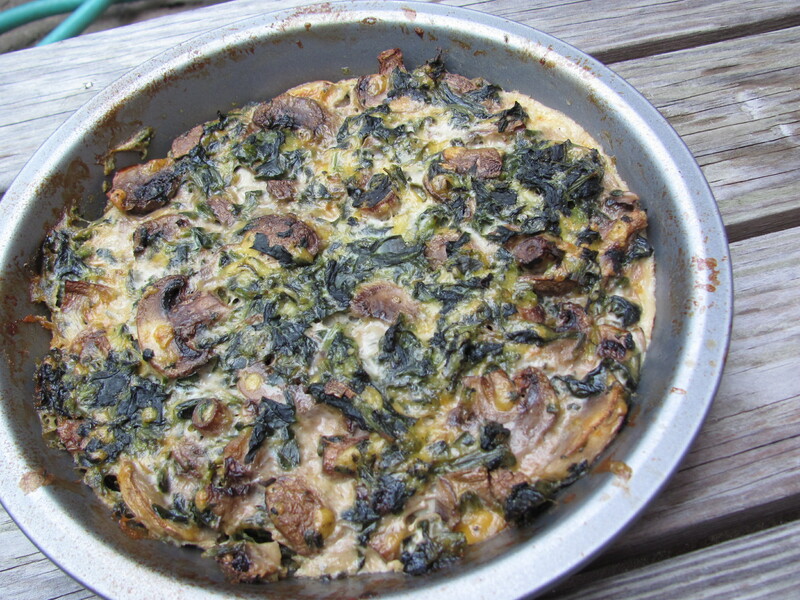 It can be made with regular eggs or egg whites, different kinds of cheeses, and more mushrooms, bacon or no bacon. The recipe that follows is the version I made this morning–it uses egg whites, lactose-free hard cheddar cheese, and lactose-free kefir, to cut down on the allergens, fat, and whining.